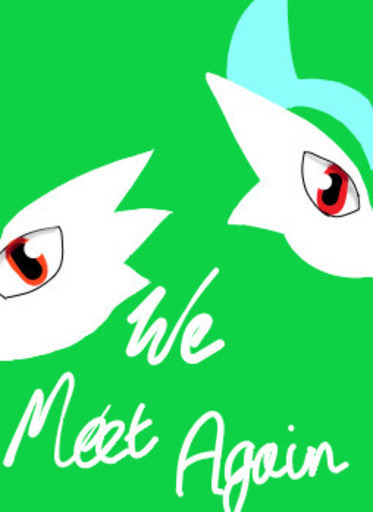 A short Pokemon fanfic about two Ralts who are taken from each other and reunited through a twist of fate. I snuck through the forest, trying to keep noise to a minimum. I knew that somewhere in the woods behind me was Georgi, ever patient, ever waiting for her time to strike. I panicked as I heard her voice flowing between the oak trees. "One... Ready or not, here I come!" I still hadn't found a place to hide! As I heard her feet patting on the grass behind me, I went the only way you can when you reach rock bottom: up. I looked down at the forest floor, and saw Georgi walking beneath the tree I was hiding in. The Ralts looked up the tree and spotted me, laughing in a silly way. "Come on, Quilp, I found you! Your turn to be it!" I hopped down from the tree, and closed my eyes. I began counting down from forty, as was tradition for our hide and seek games. When I opened my eyes, I looked around. I couldn't see her anywhere. Even though she was younger, she was way better than me at this. I looked everywhere, up trees, under rocks, behind bushes, but she was nowhere to be found. I sighed and yelled into the forest, "okay Georgi, I give up. You're too good! You can come out!" The forest remained silent, and I thought she may have just not heard me. I yelled the same thing to the world, amplifying my voice. I heard my voice, the voice of a single Ralts, but not the voice of Georgi. Far off, I heard a rumbling noise. Someone needs to wake up that Snorlax sometime, I thought. I sat down and started playing with the grass. When five minutes passed, I shouted again. I noticed the rumbling growing louder. It couldn't possibly be Snorlax, could it? Well it wasn't, it was a truck. Maybe the professor's? I was wrong on that note too. I screamed Georgi's name one more time as the man approached me. The next thing I knew, I was grabbed from behind. The last thing I saw was Georgi running out of the forest, her eyes welling with tears as she realised she couldn't save me. As I was put in the truck, I decided to warn her. "Go!" I yelled. "Run! Get out of here!" But I was already being driven away. "Come on, Gallade, you useless oaf! Can you do any good?" My master shouted at me, whipping me in a sore spot on my behind. I felt like saying what I always felt like saying as blood trickled down my leg, pain searing through my side. "Stupid broke criminal, I have a name! It's Quilp!" But I couldn't because humans can't understand Pokemon. He was training me hard. Street fighting with Pokemon was a crime, and Master was one of the best thanks to my efforts. The only Pokemon that liked him was his Swampert. My other friends that were stuck with this monster were Talonflame, Leafeon, Sableye, and Absol. Poor Sableye and Absol could mega evolve, but whenever they did, they would just go wild and insane because they weren't bonded well enough with their trainer. I ran even faster as the treadmill speed went up, my legs pounding. Despite making me run like mad, Master was the one who needed it. I watched in disgust as he let beer dribble down his chin and on to the leather armchair he was lounging on, staining his shirt and the faux leather of the disgustingly old couch. I was so busy feeling sorry for Talonflame, who was attempting to lift a rock in to the sky, that I tripped. Oh no. I would get a beating for this. Instead, Master gasped, distracted by a cart rolling through the grimy streets just outside our window. I didn't see what was so special about it, except for a strange mark on it that looked a bit like a Ralts holding a wand. The cart stopped outside our door, and he immediately called Swampert back into his Pokeball. The Pokemon was ugly and would give a bad impression to any trainer that saw it outside of battle. As we assembled behind the doorframe, I realised what was so special about the caravan. It belonged to the legendary Cascania. You had to admire her, even though street fighting was a crime. Her and Gardevoir had never lost a single match. And I admired her Gardevoir more than her; she was just like me. I rubbed the spot on my arm, a small green patch shaped like a leaf. She had one similar, and when I had seen her matches over Master's shoulder, she instantly reminded me of my friend Georgi from when I was just a Ralts. She had a mark too. But today I wasn't going to be admiring her from a distance, I was going to be battling her. I was Master's best Pokemon, and he had always dreamed of this moment. As I stepped onto the battlefield, I heard Cascania talking to her Gardevoir. She was nice to her Pokemon, unlike most street fighters. "Oh sweetie, you're going to do just great! I know you can't loose, not to some silly Gallade." She began to charge me again, and I made no attemp to stop it, despite Master yelling at me furiously. "Georgi!" I said. She slid to a stop, centimetres away from me. Her arms flopped uselessly by her side. "How did you know my name?" "Georgi, it's me, Quilp. I was your friend, all those years ago, and I still haven't forgotten you. How are you?" The whole alley went quiet, but we ignored it. Tears brimmed in her eyes, and I was again reminded of the small Ralts I had played Hide-and-Seek with all those times. She turned around and showed me some whip scars like mine. I inhaled in a sharp hiss. "I thought Cascania was nice! What has she done?" "She would whip you for loosing," she answered. "I have these marks from when I was a Kirlia. Since I evolved, I haven't lost a single match, but the scars are enough to remind me." She glared at the cuts all along my biceps, her gentle eyes filling with rage. "Quilp, from the day I was captured, I swore to myself that I would traverse all of Hoenn to find you, and escape if I could. Will you please come with me? Please, can we escape and find a better place?" I looked into her eyes, her arms resting on my shoulders. I scooped her up into a hug. I heard terrified cries from the trainers. "What's going on?" "Why are they being so friendly?" At this, Swampert leaped forward. Georgi's eyes widened at the sight of the hideous, malformed Pokemon. I put her down, and whispered to her, "he's nothing to worry about. Master feeds him just as much grog as he drinks himself." With this, Swampert collapsed, and the other Pokemon cheered. Absol took a bounding leap past Master with Sableye on his back. The crystal Pokemon ripped the chain that had the Key Stones on it off his neck. 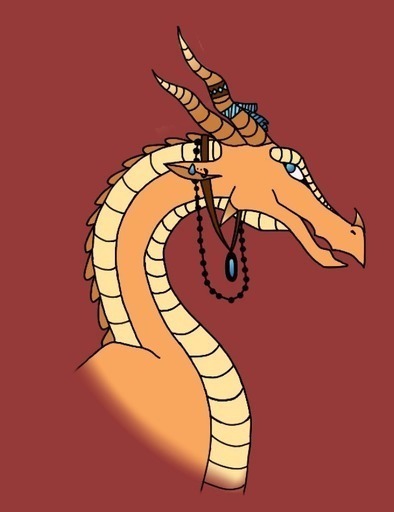 Talonflame screeched down at us, her cries echoing magnificently through the streets. As Georgi and I ran out of the alleyway, a police car skidded up to the street fighters and betters and officer Jenny began loading them one by one into the car. We laughed as we sped through the street, running from our past and into the future. NOOOOOOOOOOOOOOOOOOOOOOOOOOOO how could you end it like this?! Anyways, great job Aria!